1. In the upper-right corner of our website homepage there is a link to our "Forgot password" page. Click on that link. You MUST use the "Forgot password" link provided in the upper-right corner of our website homepage. can be created for you that you can then use to log in to your membership account ! 3. You will see an alert that you have been emailed instructions on how to reset your password. 4. 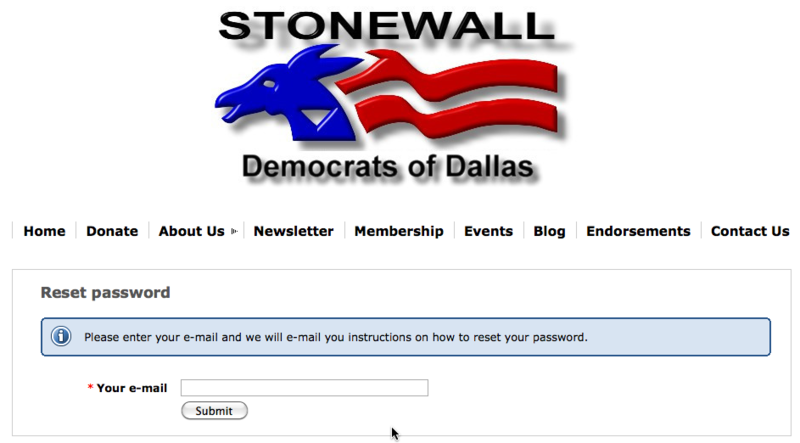 Login to your email account and click on the link in your email. 6. 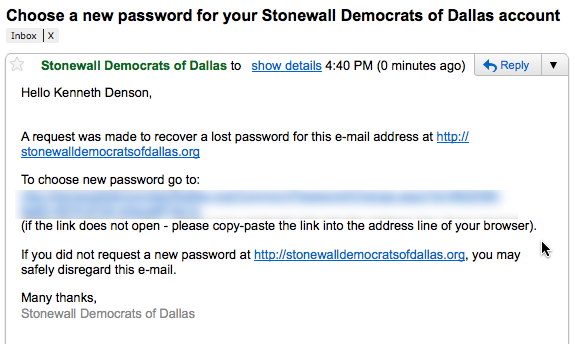 Congratulations, you have reset your Stonewall Democrats of Dallas password! Need to renew your membership? Here's how!